After announcing she would retire from Oregon’s Legislature early last year, Rep. Deborah Boone freely spent her remaining campaign money — on herself. The Cannon Beach Democrat wasn’t on the ballot. She had no need for yard signs. But she had $13,000. Some legislators transfer all their leftover money to other candidates or causes. Boone spent her account dry. She bought tangible goods: A $2,799 Apple computer, $2,000 in Volvo repairs and a $700 set of tires. She double dipped, using campaign cash to pay bills that taxpayers also reimbursed. There was the $170 dinner during the legislative session, the multi-day $595 hotel stay in Salem, the gasoline and cell phone expenses after the session ended. Charging her campaign let her pocket some of the $10,000 in expense allowances the Legislature provided during her last year in office. The failure to limit campaign donations has turned Oregon into one of the biggest money states in American politics, an investigation by The Oregonian/OregonLive found. Corporate interests donate more money per resident in Oregon than in any other state. All that giving worked. 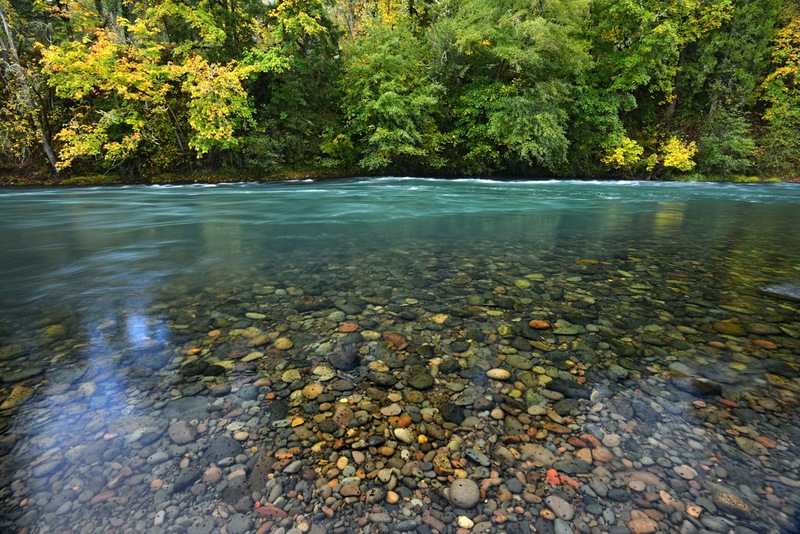 Oregon now trails its West Coast neighbors on a long list of environmental protections. To understand how the vast sums of corporate money can influence lawmakers, it helps to see how they can spend the donations. The money buys more than consultants and mailers. The result: Lawmakers owe donors for far more than their legislative seats. The newsroom combed through 114,000 transactions and $83 million in campaign spending by state lawmakers since 2008. The review found hundreds of cases of double dips that benefited lawmakers’ pocketbooks and other questionable spending that enhanced their lifestyles. The analysis also uncovered $2.2 million in spending that would have been illegal in at least one other state, including salaries to family members, capitol office furnishings, international luxury travel and penalties for campaign finance violations. Lawmakers justified the expenses as essential to winning voter support, legislating or making their jobs pay a sustainable wage. Lawmakers were paid $24,000 in 2018. They collected another $22,000 in per diems during the last long legislative session, in 2017. Oregon once aimed to be the greenest state in America. Its leaders adopted the nation’s first bottle deposit. They controlled urban sprawl. They declared ocean beaches public property. But in the last four years, Oregon’s most powerful industries have killed, weakened or stalled efforts to deal with climate change, wolf recovery, disappearing bird habitat, cancer-causing diesel exhaust, dwindling groundwater, industrial air pollution, oil spill planning and weed killers sprayed from helicopters. The Oregonian/OregonLive spent 18 months examining how and why Oregon has fallen behind on so many important environmental fronts. The newsroom’s investigation found a startling answer, one that may surprise many Oregonians. Oregon’s failure to regulate campaign cash has made it one of the biggest money states in American politics. The flood of money created an easy regulatory climate where industry gets what it wants, again and again. No one has given more money to state lawmakers in Oregon than Corporate America. Companies and industry groups contributed $43 million to winning candidates in elections from 2008 to 2016, nearly half the money legislators raised. Organized labor, single-issue groups and individual donors didn’t come close. Campaign money helped Oregon politicians do more than win election. It paid for luxury hotel rooms in Canadian chateaus, weekly visits to the local sports bar and a variety of wearable Apple accessories. It bought roses for senators’ desks, candy for Capitol offices and framed art to hang on the walls. It paid for Salem lodging and meals that taxpayers already cover for legislative sessions, boosting lawmakers’ income. It even bought one departing lawmaker a year of Amazon Prime…. The Ecology Speaker Series welcomes Chuck Willer, Director of The Coast Range Association, who will present “Wall Street Forests & the Climate Crisis: Putting People Before Profits” which discusses how the New Green Deal applies to Clatsop County’s high-density carbon forests. Following Willer’s presentation will be another presenter, Mary Scurlock, policy and technical consultant for the Oregon Stream Protection Coalition who will address “Private Forests, Public Water: Why Oregon’s Stream Protection Laws are Failing.” Scurlock’s portion will cover her thoughts on how and why Oregon’s Board of Forestry and Environmental Quality Commission are failing to protect the public’s interest in clean water and wildlife on state and private forestlands. Welcome to Oregon, people from other states. Isn’t it the most beautiful state — with high desert, mountain skiing and a fabulous coast? But look out over the trees near the roads you drive and you will see clear cuts as far as you want to see. To remain a beautiful state, Oregon needs protection from its primary FOE: Forces of Extraction. That is, large timber companies that clear-cut our forests and try to weaken already weak logging laws. The logging industry adds more carbon pollution into our atmosphere every year than any other sector of the economy. We need to harvest wood for building purposes, and there are companies doing it responsibly, selectively and without clear cuts. The logging industry harvests plantations every 30 to 40 years, not allowing these young trees to sequester carbon like older trees do. Plantations like this and the industrial management model are main contributors of greenhouse gases and planet warming. Call or write Gov. Brown, your state senator and Congressional representatives and ask them to make logging laws stronger. Researchers at Portland State University and Oregon State University looking at the aftermath of wildfires in southwestern Oregon and northern California found that after 20 years, even in severely burned areas, Douglas-fir grew back on its own without the need for salvage logging and replanting. The study, published online Oct. 26 in the journal Forest Ecology and Management, is the latest to address the contentious issue of whether forest managers should log dead timber and plant new trees after fires, or let them regenerate on their own. Melissa Lucash, an assistant research professor of geography in PSU’s College of Liberal Arts and Sciences and a co-author of the study, said that concerns in the Klamath over whether conifer forests would regenerate after high-severity fires have led to salvage logging, replanting and shrub removal on federal lands throughout the region. But the study found that the density of Douglas-fir was relatively high after 20 years and was unaffected by whether or not a site had been managed. Lucash suggests that those resources could instead be reallocated elsewhere, perhaps to thinning forests to prevent high-severity wildfires. The research team also included Maria Jose Lopez, a research associate at Universidad del Cono Sur de las Americas in Paraguay; Terry Marcey, a recent graduate of PSU’s Environmental Science and Management program; David Hibbs, a professor emeritus in Oregon State University’s College of Forestry; Jeff Shatford, a terrestrial habitat specialist in British Columbia’s Ministry of Forests, Lands, Natural Resource Operations and Rural Development; and Jonathan Thompson, a senior ecologist for Harvard Forest. The authors sampled 62 field sites that had severely burned 20 years prior on both north and south slopes of the Klamath-Siskiyou Mountain — some of which had been salvaged logged and replanted and others that had been left to regenerate on its own. Aspect, or the direction a slope faces, played an important role in determining the effectiveness of post-fire practices. Density of Douglas-fir was higher on north than south aspects, but was unaffected by whether or not a site had been managed, suggesting that Douglas-fir regeneration is inherently less abundant on hot and dry sites and management does not influence the outcome. On the flip side, management practices increased the density of ponderosa pine on south aspects, but had no impact on north aspects. That finding suggests that with rising temperatures and increasing severity of fires in the region, management would be most effective when tailored to promote drought-tolerant ponderosa pine on south aspects. Managed sites had taller conifers, which can improve fire resistance, but also had fewer snags — an important habitat feature for bird, small mammals and amphibian species in the region. The authors recommend that forest managers should avoid applying the same post-fire management practices everywhere and should instead tailor practices to specific objectives and the landscape context. Photo caption: Tree boles remain standing 20 years later after the wildfire that killed them on Grider Ridge in northern California. Naturally regenerating Douglas-fir sapling emerge from the shrub fields. Another year of extensive wildfires, debilitating smoke, and several tragedies across the West have made it clear that Oregonians cannot afford forestry practices that continue to make this problem worse. The consequences of our forest management history and our changing climate have been illuminated by a hazy vermilion sun. The complex, fire-resilient forests of yesteryear have been replaced with younger, denser stands more likely to experience stand-replacing fires. Meanwhile, climate change is causing fuels to dry out earlier and stay dry longer, creating the conditions for more fires and greater fire severity. Many commendable thinning and fuels reduction projects have been carried out on unnaturally dense Forest Service and BLM lands in recent decades. These efforts need to be improved and expanded into a widespread restoration forestry effort to put our fire-suppressed public forests on a path toward increased fire resiliency. But there is another half of the equation that can’t be ignored — private, industrial forestlands. A recent study of the 2013 Douglas fire by leading scientists at Oregon State and Humboldt State Universities confirmed the forests most likely to burn at high severity are the dense, young stands on private timberlands that are planted after conventional clearcut logging practices sanctioned under the Oregon Forest Practices Act, not the typically older stands on public lands. Therefore, it is critically insufficient to only improve forest management on public lands.Locally, the Rogue Basin Cohesive Forest Restoration Strategy, created by a multi-party team of federal, state and nonprofit contributors, provides a well-considered, science-based framework for how to approach restoration forestry and increase fire resiliency in our region. The “All Lands” approach described therein proposes to treat 900,000 acres of federal land plus 200,000 acres of non-federal lands of mixed ownership, in and around communities and infrastructure. A small proportion of the 200,000 non-federal acres is industrial timberlands, however, tens of thousands of acres of industrial timberland are directly adjacent to the proposed treatment areas on federal lands. Without meaningfully addressing these fire-prone, private timberlands, our success in achieving a more fire-resilient landscape will be limited. To responsibly address the role that private forests play in contributing to wildfire risk, we must transform the Oregon Forest Practices Act, the decades-old state statute in dire need of modernization. 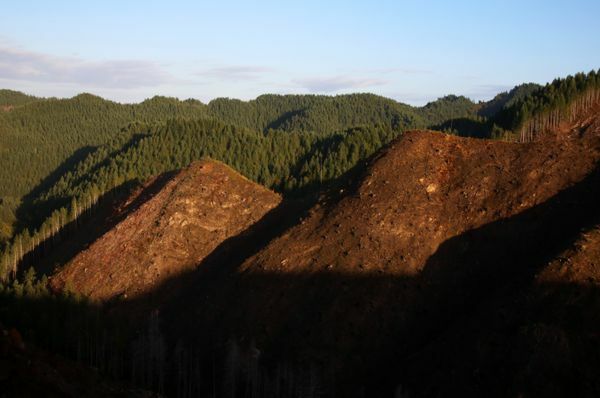 Increased fire risk is just one of the negative side effects of industrial logging practices that Oregonians are left to bear. 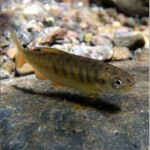 Soil loss, diminished water quality, degradation of fisheries, and habitat loss for rare species are some of the others. The state should convene a team of scientists and progressive forestry practitioners to hammer out rational, proactive, and easily verifiable operational standards for the future of forestry in Oregon. This team should set new standards dramatically reducing the allowable size of harvest units, requiring longer rotation times, and maintaining legacy retentions of older trees, requiring that a proportion of the more fire-resilient trees be left standing. To put Oregon’s private forests on a path toward greater fire resiliency, we must diversify the landscape level expanses of tightly packed, even-aged tree farms that cover so much of our state. We should also require timber companies to address the enormous amounts of slash left behind following timber harvests that are tinderboxes of explosive fuels. And we should ban the aerial spraying of herbicides which adds additional fuels and pollutes our streams. In the long run, timber companies will benefit from management practices that lead to more fire-resilient forests. As improved practices are implemented and fire resiliency increases over time, timber assets will become less vulnerable to going up in flames. Further, there are numerous benefits to other ecosystem services that will follow from fire-resilient forestry practices including improved habitat, water quality and more secure carbon storage. It is imperative that Oregon implement forestry practices that improve fire resiliency. We can supply the local mills and support the invigoration of our economy while improving our forests’ structure in a way that helps to protect it and our communities from future wildfires. Imagine a future where Oregon’s private forests are structurally diverse forests that include larger, fire-resilient trees and where large clearcuts and expansive, even-aged tree farms are a memory. We must move our state’s private timberlands in this direction, because not doing so allows the wildfire problem to get worse. To get there, we must reform Oregon’s outdated rules and account for the role private timberlands play in wildfire risk. Oregonians need strong leadership in Salem to address this issue in 2019 and beyond. Who is ready? Jason Clark is a botanist who lives in Talent and works in forests across the Northwest.